Grand Traverse Scenic Flight Take an exciting scenic Franz Josef Glacier flight with Air Safaris from their base at Franz Josef Glacier within the Westland National Park - a fantastic South Island West Coast flight seeing attraction. The Grand Traverse scenic flight from Franz Josef provides the best way to experience this glacial environment in its entirety. 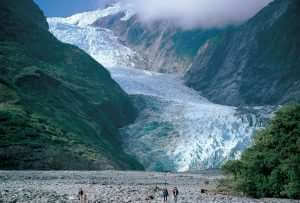 The Franz Josef Glacier flight include..